It’s a pretty fun week so far for this Panama City photographer. I have covered boats, blood drives and everything in between. 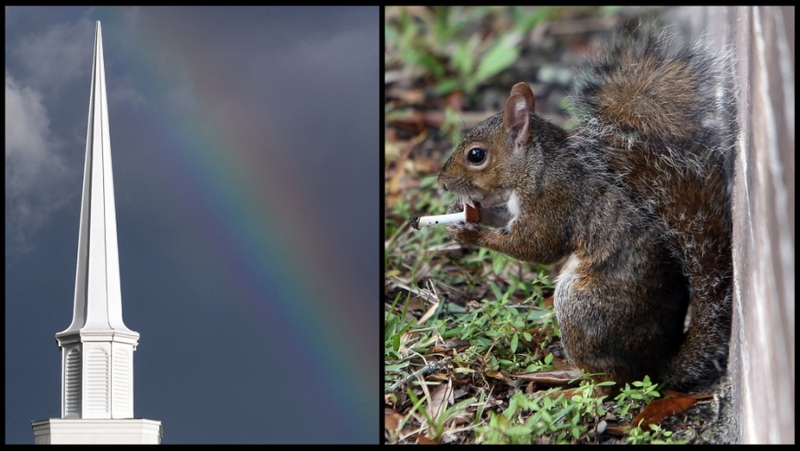 I had a moment of excitement when my reporter spotted what we thought was a cigarette-smoking squirrel. Turns out he was just snacking on a mushroom, but it still made for a fun photograph. I also went into ludicrous speed trying to get a photo of a rainbow. Traffic was heavy and the rainbow was fading in and out, but I got lucky enough to get a pretty photo for our faith page. In photojournalism you never know what you’ll be photographing. You must be ready, camera in hand, for whatever comes your way.